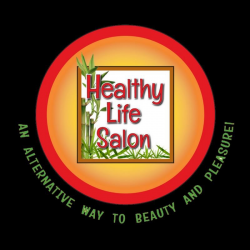 Holistic hair salon, day spa and organic wine bar. Using 100% natural plant organic leaping bunny certified hair color and products good for the environment, hair and skin. Using European ammonia free and fragrance free permanent haircolor and highlighting system thats vegan and never tested on animals. Using nail care products that are fume free, vegan and never tested on animals. The owner is holistic hair color specialist, aesthetician, Feng Shui consultant and Reiki practicioner.